Soviet river monitor, commissioned in November 1936. Five sisters, all scuttled in 1941. The armament as shown 2x2x 4,5 cm; 4x 1,27 cm MG; 2x 10,0 cm; 2x 3,7 cm AA. Since when did she carry the shown armament? 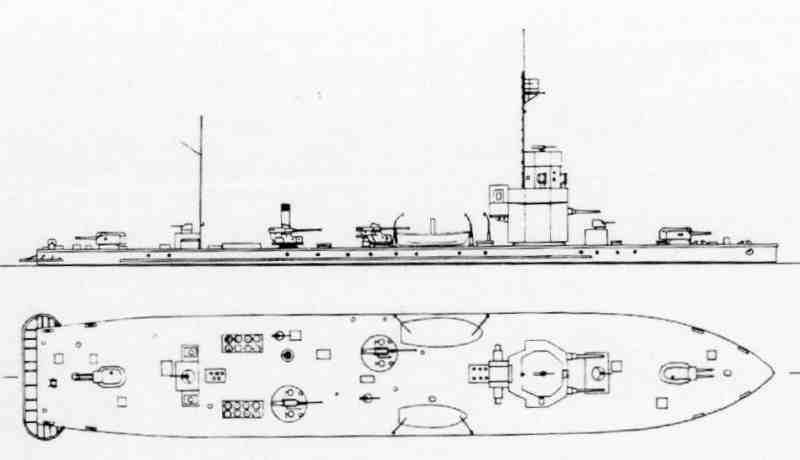 The drawing shows her in 1945. Since when does she look like that?